While Christian pilgrims may come to the Holy Land to walk in the footsteps of Jesus and confirm their faith, they often find themselves in an interreligious and intercultural encounter. The environmental bubble of the guided group pilgrimage encloses not only Christian pilgrims and their pastor, but also the Jewish-Israeli guide, and the Palestinian (Muslim or Christian) driver. The guide's presentation of Christian Holy sites, the Bible, current politics and his own life story both confirm and question pilgrims' initial religious and political views. Jewish-Israeli tour guides, on the other hand, struggle with the seductions of Christianity and their own Jewish commitments in the course of shepherding pilgrims through the Land. Based on three decades of experience guiding Christian groups and observations and interviews with guides, pastors and pilgrims, I illustrate how Christian pilgrims and Jewish-Israeli guides negotiate their identities through performance in the charged landscape of the Holy Land. The talk, drawing on my forthcoming book, A Jewish Guide in the Holy Land, aims to offer new perspectives on pilgrimage, place-making and performance. Jackie Feldman is a senior lecturer in sociology and anthropology at Ben Gurion University of the Negev. 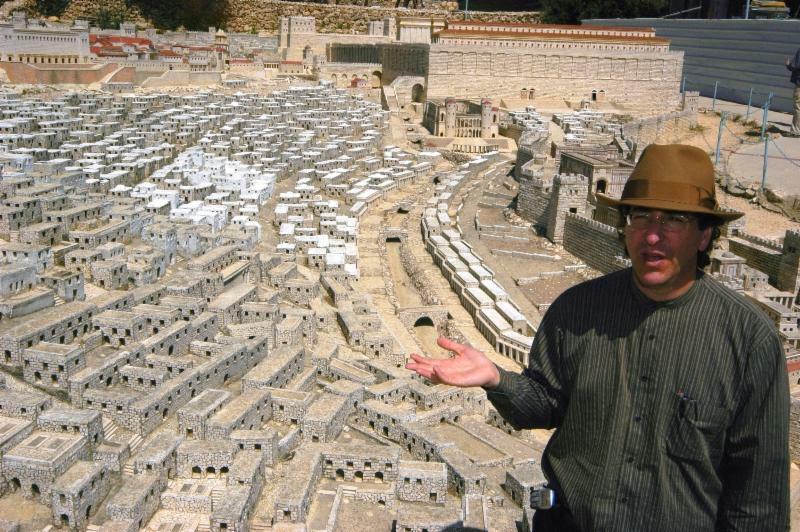 He has worked as a licensed guide for Christian pilgrims to the Holy Land for thirty years. He has researched pilgrimage and tourism and the interface between them, Christian pilgrimage to the Holy Land, pilgrimage to the Second Temple and Jewish-Israeli youth voyages to Poland. He heads the Rabb Center for Holocaust Studies, and has published on performance, socio-political positioning and the transmission of identity in Yad Vashem and the Jewish Museum, Berlin. His forthcoming book, A Jewish Guide in the Holy Land: How Christian Pilgrims Made Me Israeli will be published by University of Indiana Press in April 2016.